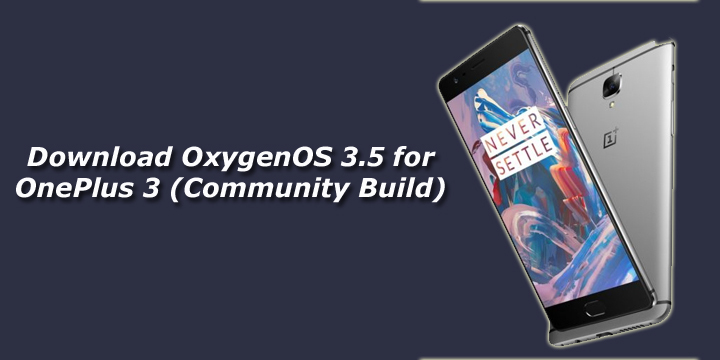 Latest OxygenOS 3.5 Community Build for OnePlus 3 is now available for download. OxygenOS 3.5 update includes lots of back-end enhancements that will improve speed and processes. The update is a “Community Build” and you have to flash it manually via ADB Sideload. After flashing OxygenOS 3.5 Community build on OnePlus 3, you will continue getting the OTA. Download OxygenOS 3.5 for OnePlus 3 from below and flash it manually. Recently OnePlus released the OxygenOS 3.2.4 Hotfix Patch for OnePlus 3, but users were not happy with that update as that had some issues. But now OxygenOS 3.5 for OnePlus 3 is available which brings New and improved OnePlus apps, Improved camera software, and Several UI improvements. If you want to update your OnePlus to the latest version then Download OxygenOS 3.5 for OnePlus 3 from below. Check below what’s new in OxygenOS 3.5 Community Build. This method is only for the OnePlus 3. 3) Download ADB and fastboot driver for windows orADB and Fastboot for Mac and install it on your PC. 4) Download the OxygenOS 3.5 zip file for OnePlus 3 from above Copy ROM to a folder where adb installed. That’s all this is the complete guide to Download and Install OxygenOS 3.5 on OnePlus 3. So try it on your device and give feedback to the OnePlus team by filling this form. Let us know if you have any questions by comment below. What is MArshmallow ROM folder? Means save OxygenOS 3.5 zip file where adb and fastboot files are installed. im not able to do it.